In a bowl of a food processor, add the flours, the salt, the herbs, and the cheese and whiz till well blended. Add the cubed, chilled butter and pulse, till the butter is cut uniformly into the flour and the mixture resembles breadcrumbs. Add the 2 tablespoons of water and pulse again. 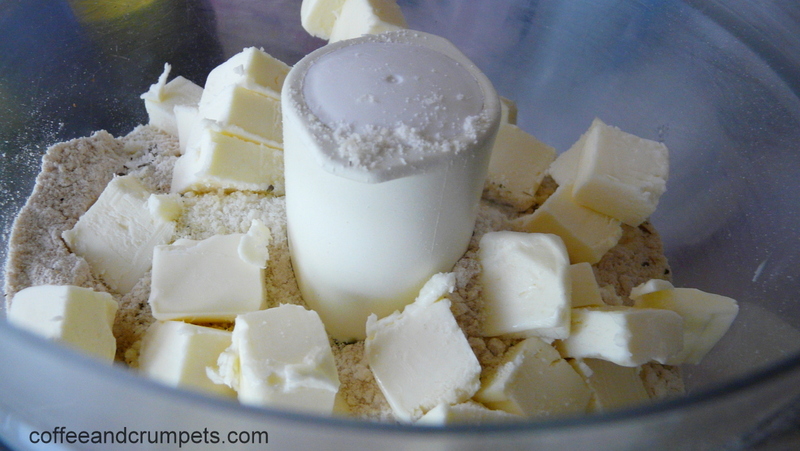 If the mixture looks too dry and does not hold together when pinched together, add more water, a tablespoon at a time. 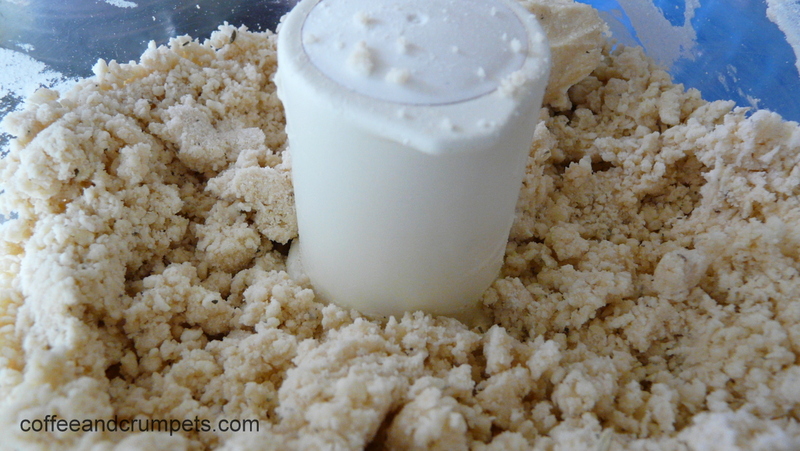 Turn the mixture out onto a floured board and gently bring the mixture into a smooth ball. Don’t knead too hard but enough to get a blended ball of dough. and refrigerate for at least 20 minutes. If the dough was made before hand, remove the dough from the fridge and let it soften a little before rolling, about 15 minutes. 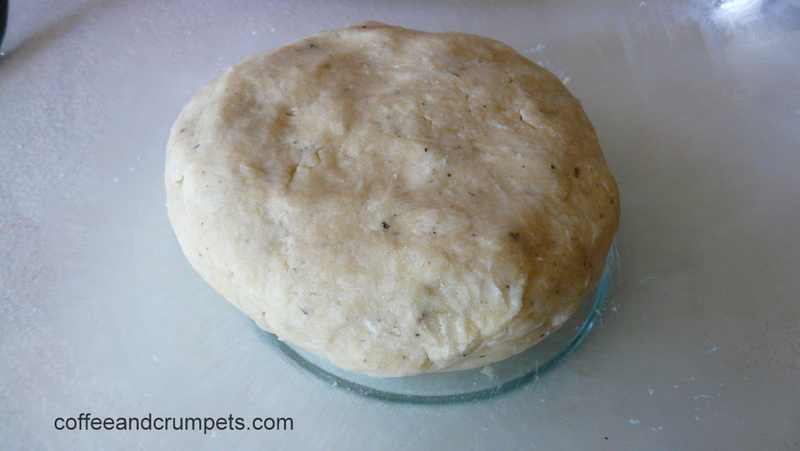 If at any time the dough becomes too soft and hard to handle, put back into the fridge to cool. Note: Alternatively, you can blend well with a whisk or spatula. Cut the butter into the flour by hand or 2 knives and use a spatula to bring the mixture together when you add the water. You can use any combination of spices and cheeses in the pastry. 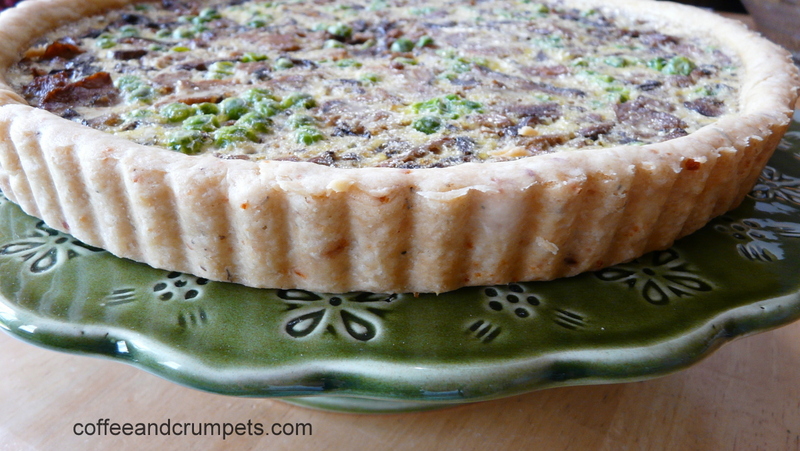 This savoury crust works really well for quiches and tarts of all kinds. 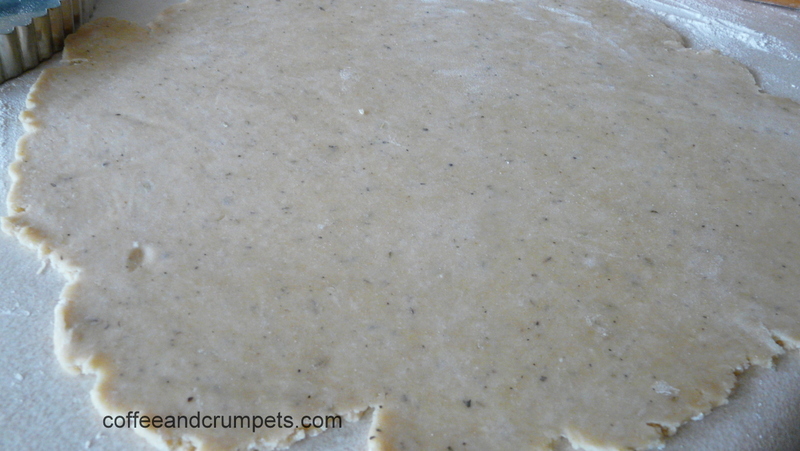 This crust is used in the Mushroom Tart. This is a beautiful recipe, I’ll try it next week or so, once I’ve had a chance to get the ingredients from the store. Also, where can you get Herbes de Provence? Hi Rhonda, thanks for stopping by! I got my Herbes de Provence from Williams Sonoma a while back but I think you can find them at Whole Foods. I believe you are in Colorado? I know Penzey’s Spices in Boulder has them. Of course, you can always sub the herbs with ones you have like thyme, basil etc.